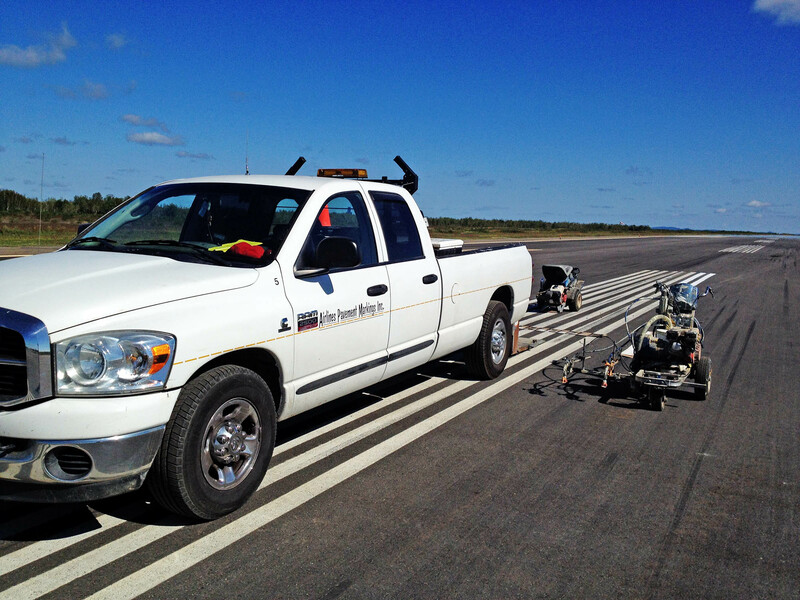 Airlines Pavement Markings has the resources and equipment to remove pavement markings for projects ranging from a single arrow to many kilometres of roadway. The removal of existing pavement markings is required for a number of reasons. The most common reasons for the removal of existing pavement markings are: traffic patterns need to be changed to accommodate work zones, and to remove markings in order to install additional travel lanes or turn lanes where developments or retail stores are built. The Line Eraser supports adjustable grinding depth control to allow for the removal of paint, epoxy, thermoplastic. It is also capable of removing preformed tapes is easy and precise with the rotary dome style cutter assembly. Selected depth of cut remains constant until lock is released and setting is changed. A handle mounted disengage lever lifts the cutter instantly. The cutters return to the previously selected depth when re-engaged. This is a common method of removal for pavement markings. This operation is used on concrete for both removal of paint lines and the removal of curing compound. This is a common method of removal for pavement markings. This operation is used on asphalts to remove all traces of paint lines.